The naturalistic fallacy is one of the more popular ones used by individuals who are opposed to real science. Essentially, it is a statement of fact (what is) which then leads to a statement of a value judgement (what ought to be), usually where the conclusion expresses what ought to be, based only on actually what is more natural. You hear it all the time, “humans ate natural foods before the modern era, therefore, natural foods are better.” Even assuming the first clause is correct (they didn’t), the second clause is nothing but an unsupported statement of what ought to be, based on no science whatsoever. There are so few scientific facts in his statement, that I’m not sure what to say. First of all, Ji is quite incompetent in immunology, apparently missing out on how the immune system does work. Our immune system is quite competent to deal with billions and trillions of antigens over a lifetime. What Ji fails to grasp, even though he seems to understand some of the basics of evolution, is that a pathogen also evolves–sometimes to evade the immune system, or sometimes by overwhelming it. A pathogen makes us sick or kills us because it is able to attack the body before a proper immune response can be started. That’s why vaccines work–they prepare the adaptive immune system with a memory of the disease without causing the disease. Then when polio hits, it’s stopped by the immune system before it kills or maims. Yes, getting the disease “naturally” is not a guarantee that the patient will die from the disease. In fact, with some diseases, the risk might be small. But that risk isn’t focused on one population group. It ignores ethnicity, income, education, or quality of diet. The Flu Pandemic of 1918 killed over 3% of the world’s population at the time, many of them healthy young adults. In other words, if there’s some racist or superior belief of the antivaccinationists that they themselves or their children are somehow resistant to these diseases because “they don’t get the unnatural vaccines,” that would be one of the craziest statements ever. I think that Mr. Ji, and many antivaccinationists are convinced of their genetic and immune system purity, that only the weak and the unhealthy die of these vaccine-preventable diseases. Except we have evidence otherwise–40% of the children who died of the flu in 2012 were normal healthy kids. I guess the antivaccinationist’s genetic purity is just a logical fallacy. Smallpox, a disease with a 30% mortality rate, doesn’t care about who it attacks. It doesn’t check out a human and think to itself, “oh damn, this is a genetically pure kid who has been feed organic foods and never had the smallpox vaccination.” Well, a smallpox virus can’t think, and as a virus, it doesn’t care who it attacks. And it can only be prevented by a smallpox vaccination. Good for us that the world eradicated smallpox in 1980, exclusively through a worldwide vaccination program. The point of no return (if not already traversed) is only around the corner: the mass introduction of DNA and Recombinant Vector Vaccine technology. Vaccines moved through the following stages (a tortured history of failures and massive “collateral damage”): Live Vaccines > Attenuated Vaccines > Subunit Vaccines > Toxid Vaccines > Conjugate Vaccines, only now reaching towards converting our living tissue into “vaccine-making factories” through the use of DNA and Recombinant Vector Vaccines, which are designed to directly alter cells within the vaccinated person’s body so that they create the antigens normally provided by vaccines themselves. While not yet in use, clinical trial are now underway to obtain FDA approval. If we do not educate ourselves now and act accordingly, their mass implementation is inevitable, and our very genomes will become the next target of the vaccination/transhumanism agenda. Oh no! Transhumanism. For those unfamiliar with the term, transhumanism is a cultural and intellectual movement with an eventual goal of fundamentally transforming the human condition by developing and making widely available technologies to greatly enhance human intellectual, physical, and psychological capacities. Apparently, vaccines enhance human health and are thus “transhumanist.” I’m missing the problem. Oh wait, is it this genetic superiority thing again? Only the strong, those who won’t die of smallpox or polio, are preferred. Let’s not help everyone, because the vaccine deniers have some Darwinist agenda to eliminate humanity of the weak? I am beginning to see a certain racist and xenophobic belief of the vaccine deniers in their superiority over all other humans. 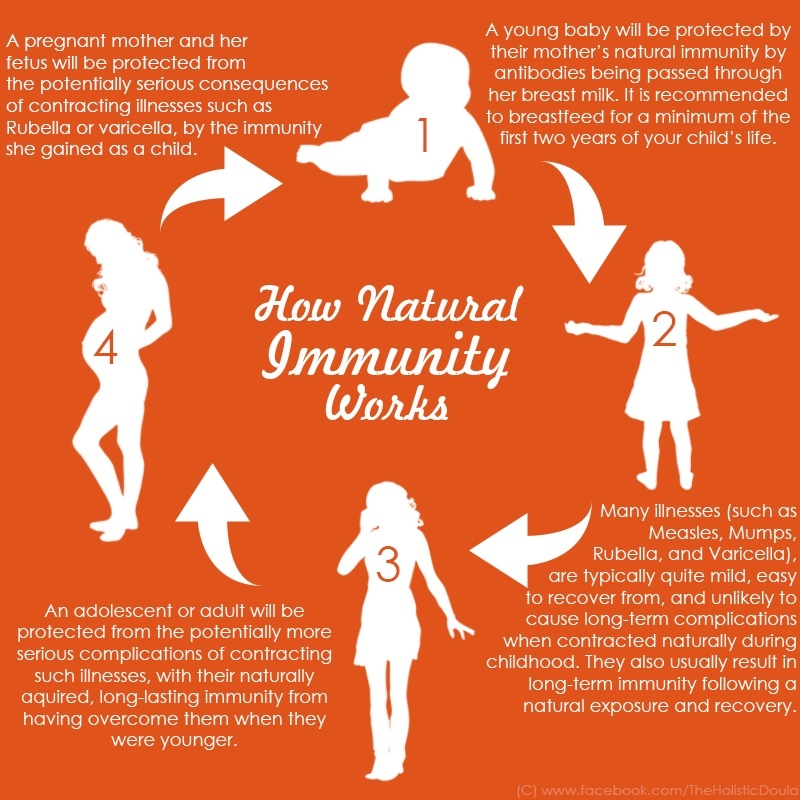 The naturalistic fallacy allows them to think that there “ought to be” a world without modern medicine, because natural immunity makes us stronger, better, more powerful. That thinking is simply unscientific and ignorant nonsense. Vaccinated children and adults are stronger, because they are generally immune to pathogens which can and will kill. Centers for Disease Control and Prevention (CDC). Prevention and control of influenza with vaccines: recommendations of the Advisory Committee on Immunization Practices (ACIP)–United States, 2012-13 influenza season. MMWR Morb Mortal Wkly Rep. 2012 Aug 17;61(32):613-8. PubMed PMID: 22895385. Centers for Disease Control and Prevention. CDC Reports About 90 Percent of Children Who Died From Flu This Season Not Vaccinated. March 22, 2013. Previous PostPrevious Cinnamon to manage diabetes? Don’t bother.